At 7, some friends and family arrived. This was a fairly last-minute gathering, so a big thanks to those who made it! 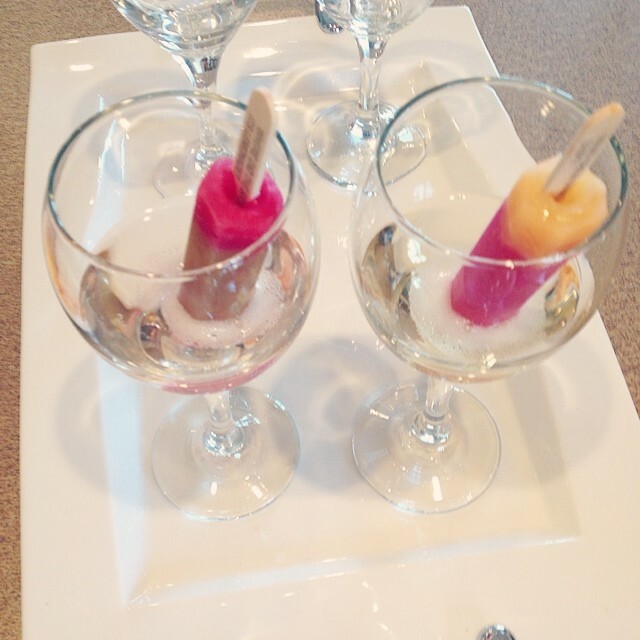 I served up some Popsicle champagne, which is officially my new favorite thing! After work I had picked up a bottle of chilled champagne and some “Scribblers” Popsicles. Remember those? They’re shaped like crayons? They were the perfect size! 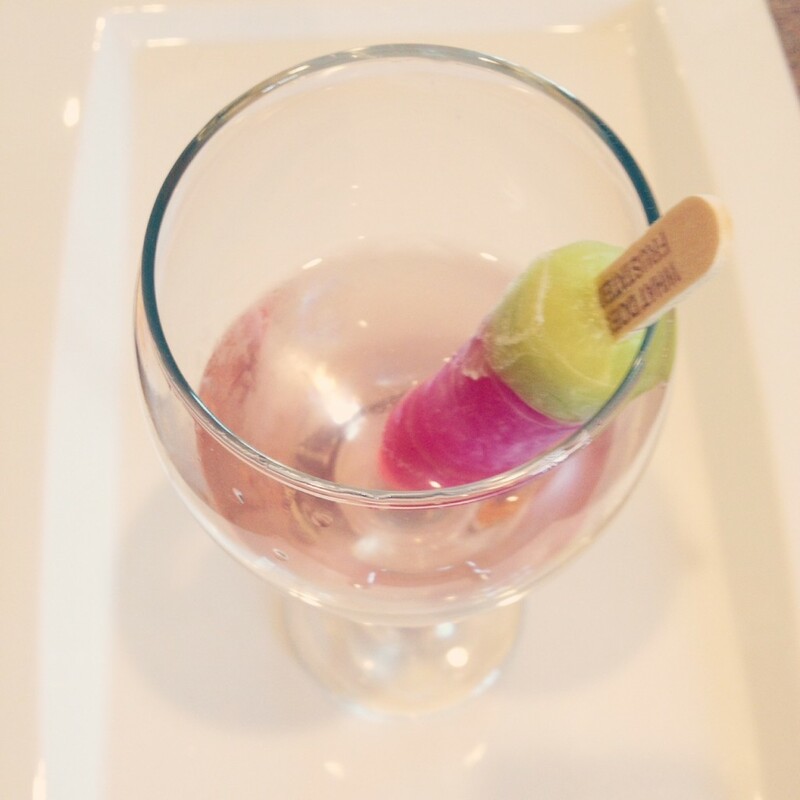 I put a Popsicle upside down in a wine glass and then poured champagne into the glass. So easy and so delicious! The champagne turned fun colors, and tasted Popsicle-y. Amazing. I’m seriously going to make these a summer staple this year. And yes, our Popsicles had jokes on the stick. Definitely brought me back to my childhood summers. After our drinks and lots of nice conversation, we sang happy birthday and ate cake! 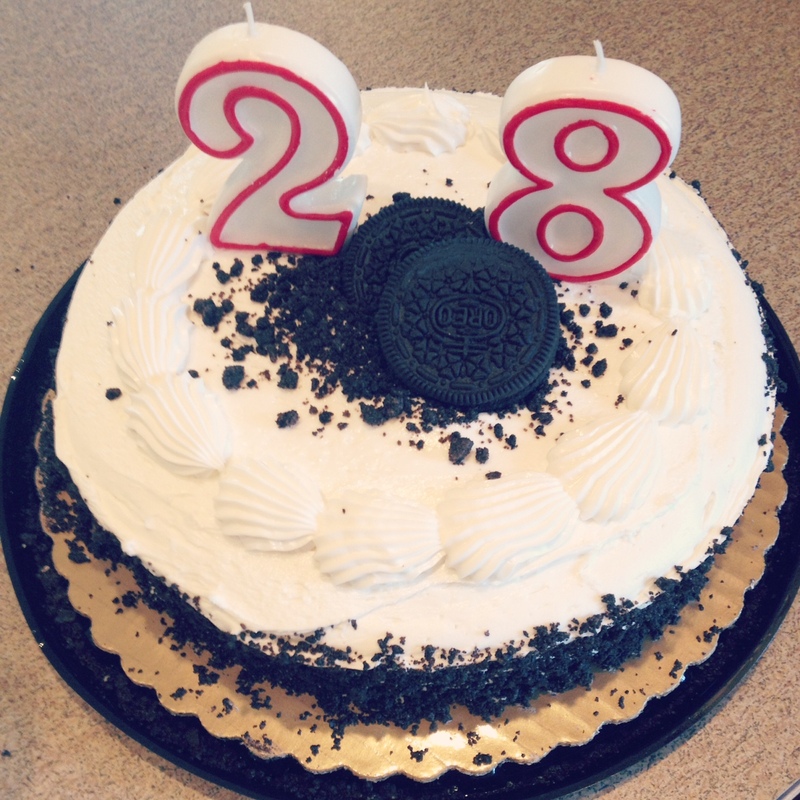 My mother-in-law brought the OREO cake, and it was delish! The cake itself was chocolate and the frosting tasted just like the center of an Oreo. I’m thinking I’m going to have to recreate this somehow in the near future… Oreo brownies with Oreo creme frosting? I think so. 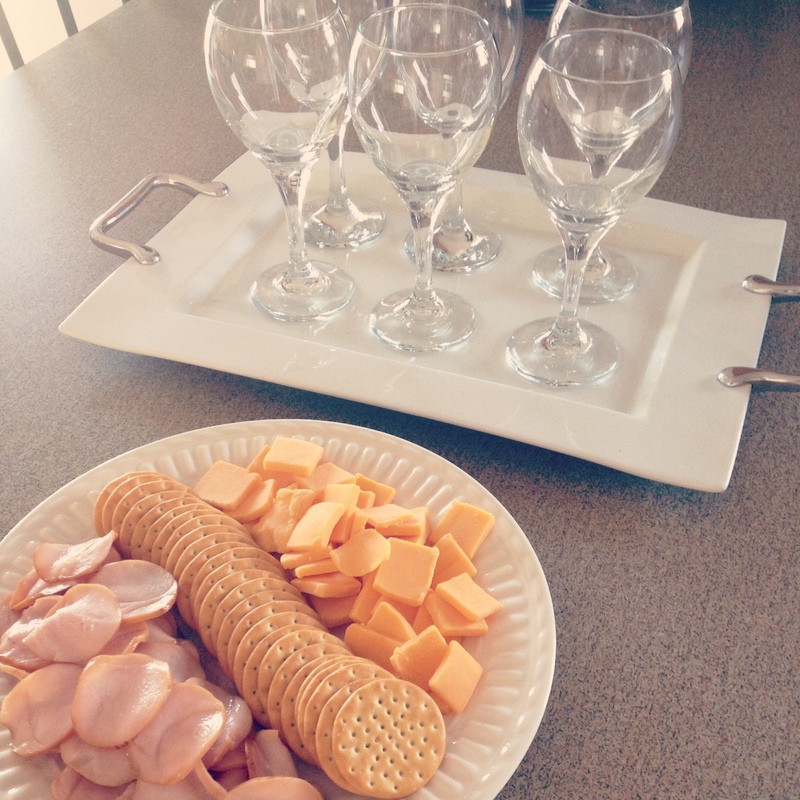 Since this was a later “just cake” gathering, I picked up a meat, cheese, and cracker platter for people to munch on. 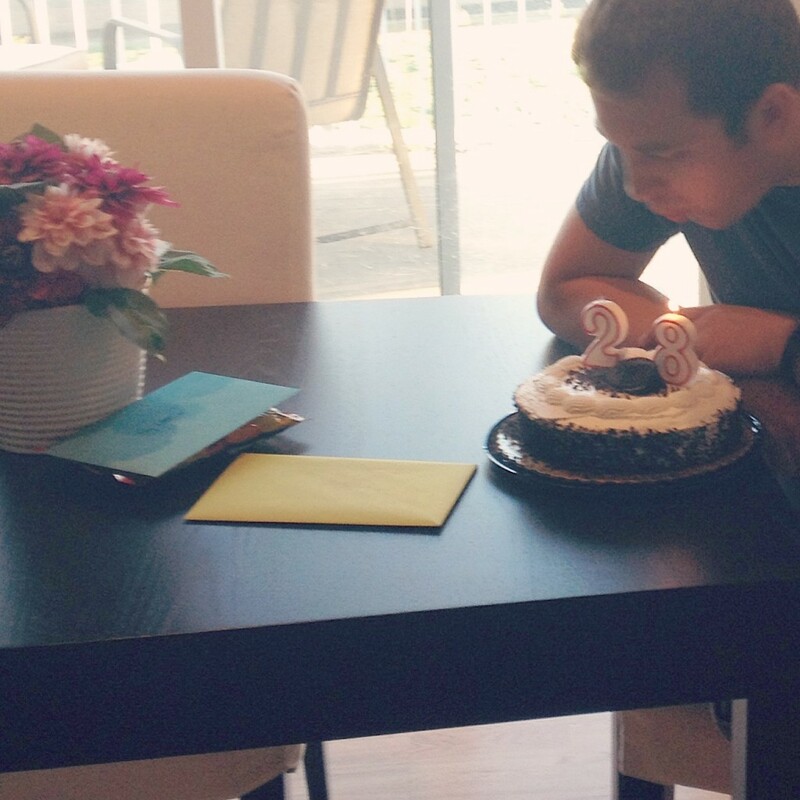 It was a really nice birthday celebration, simple and sweet. I’m so glad I’ll get to keep celebrating that awesome husband of mine at his birthday camping trip with friends, and then at a birthday gathering with my family. Thank goodness for all these celebrations, because I’m dying for another reason to whip up some more Popsicle champagne! Tomorrow’s Thursday… does that count? Happy Wednesday all! Halfway through the work week! Copyright © 2013 · Designed by beautiful dawn designs. Special thanks to Akismet for helping fight spam!